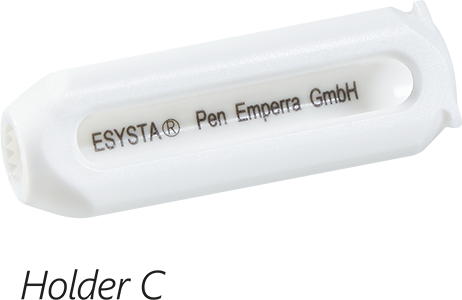 The world’s first insulin pen to automatically transfer the amounts of insulin dispensed via ISM wireless technology to ESYSTA Basis. Automatic, wireless transfer of injected insulin doses, including the date and time, to the ESYSTA Portal. 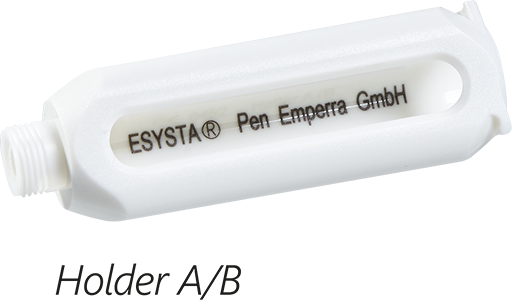 By using the ESYSTA Adapter, all major 3 ml (100 IU/ml) insulin cartridges can be used with the ESYSTA Pen.